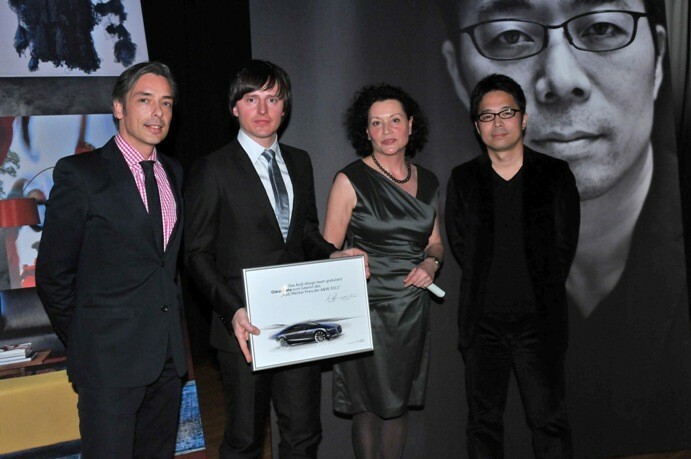 Again in 2011, the award for up-and-coming design by Architektur & Wohnen, traditionally given by the A&W Designer of the Year to emerging talent, is sponsored by Audi. 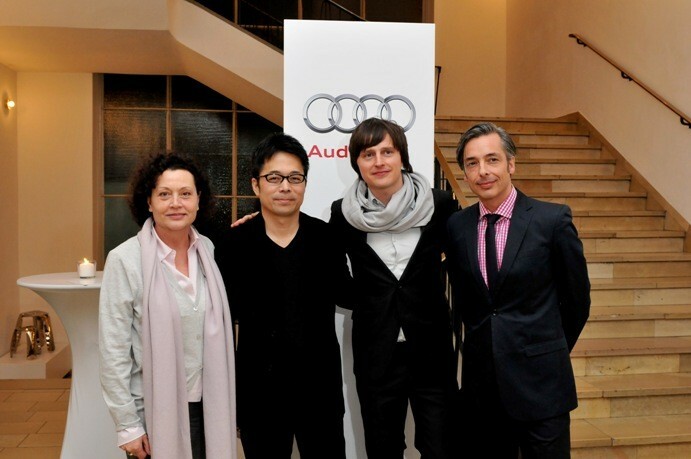 Tokujin Yoshioka has nominated for the Audi Mentor Prize by A&W the Polish architect and designer Oskar Zieta. The experimental approach and the value of novelty in his creation hail from a search for simple forms. Oskar Zieta merits this award for his creativity that targets the future. In the fall of 2009 I visited Prof. Hovestadt at the ETH in Zurich, who is head of its CAAD department, for a professional exchange. In the course of a very exciting and informative day one of the architects doing research there caught particularly my attention: Oskar Zieta. In a very impressive way Oskar Zieta demonstrated the apparent simplicity of his idea. He put a pre-fabricated blank of his successful Plopp stool onto a large workbench, connected a compressed-air hose to the valve lent from a car and pumped up the blackened steel sheet structure like an inflatable mattress. Under the table rattled a compressor that can be found in most do-it-yourself workshops. With a couple of savvy hand maneuvers the stool legs were flexed into the requisite angle. Exclusive of the surface finish, a perfect Plopp stool stood before me on the desk. As car designers we deal with the three-dimensional sculpting of sheet metal and synthetics. Structure, surface, colour and usability play a central role. Zieta’s idea stands for a reduced effort of material and energy and for a particularly clever use of an existing deformation technology. Oskar Zieta demonstrates how light construction can be pleasurable, and a sustainable manufacturing process doesn’t need to mean sacrifice – to the contrary. 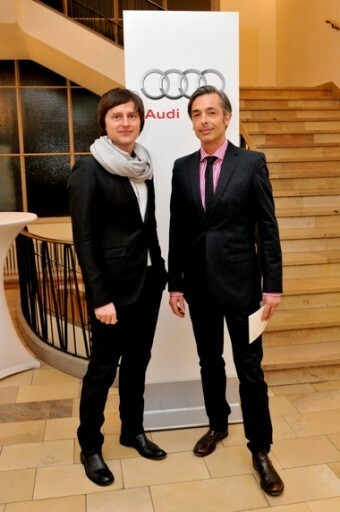 As Audi designer one feels immediately compelled when new paths are taken for the first time. When light intelligent construction, efficient production and maximized emotions are concerned.